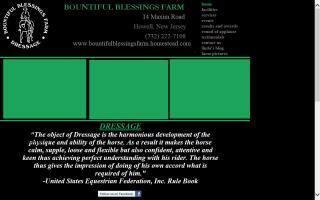 Dressage Stables Directory - Page 2 - O Horse! Bear Creek Farm is proud to offer exceptional dressage training and instruction, outstanding boarding facilities, and quality sale horses. Dedicated to understanding the true movement and balance of horse and rider. 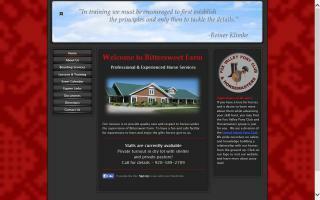 Training, instruction, and boarding facility in Bucks County. Riding lessons for all ages in dressage, hunters. Horses accepted for training in dressage. Summer camp ages 7-13 for boys and girls. 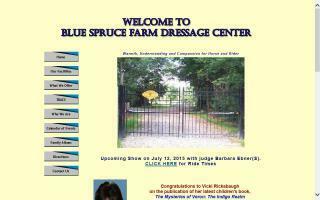 Premier dressage equestrian center located in Southern New Hampshire. We feature indoor and outdoor arenas, polo field, trails, spacious boarding, training, shows, and sales. Great turnout, quality care, and fantastic facilities at our private, adult-oriented barn in the heart of horse country! Private 12 stall barn located south of Port Perry, ON. 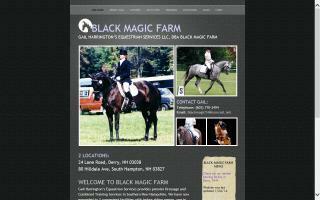 A friendly barn specializing in classical dressage - all disciplines and rider-levels welcome! Attached indoor arena, lit outdoor sand ring, jumps, and bridle path on property, plus easy, safe access to miles of hacking over the Oak Ridge Moraine. Private/semi private turnout. Outside coaches/farriers/vets welcome. Regular dressage clinics; access to level II and III coaches available. We attend bronze, silver, and gold-rated shows in Ontario. State-of-the-Art facility specializing in classical dressage, breeding, and advanced assisted reproduction technologies for the horse. Our Lipizzan horses are offered for breeding services and lessons. USDA approved CEM quarantine facility. 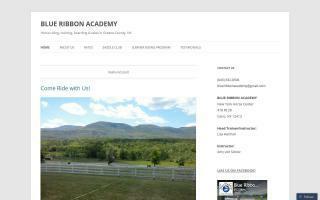 Founded in 2008, Blue Ribbon Farm & Academy has lesson programs at every level - children starting at age 3, recreational riders, and seasoned competitors in dressage, jumping & equitation – plus camps, clinics, and shows. Our 14 academy horses come in all sizes and shapes, for every ability and riding discipline. 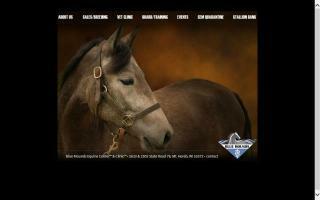 We offer boarding, leasing, training, and horses for sale. Located on 30 scenic acres in northern Dutchess County, our facilities include a 2-aisle barn with a wash stall and tack room, an attached mold- and dust-free indoor ring, a 100' x 200' outdoor arena, grass fields, and access to trails. Stalls have heated water buckets, soft mats, and ample bedding. Owner/trainer Amy von Scholz has a BA in Equine Studies & Business from Centenary College. Her extensive experience includes working as a groom, instructor, rider, barn manager, and riding school director; studying under top trainers and apprenticing to Olympic and Grand Prix riders. She has earned Horse of the Year titles, regional championships, and performance awards. An active dressage judge, Amy is a USDF "L" with distinction and is enrolled in the USDF Trainer Certification program. At Blue Ribbon, a positive environment is paramount. We believe in happy horses and happy riders!